Emilie Conrad photos generously provided by Lauren Devon (laurendevon.com) for “The Spirit Soars” video and the Continuum Movement Arts website. Emilie Conrad’s quest for a life unfettered by cultural constraints led her to become a somatic visionary and pioneer. A dancer who had transformational movement experiences, Emilie turned to the internal terrain of her own body and found that all life is movement, the movement of fluids. 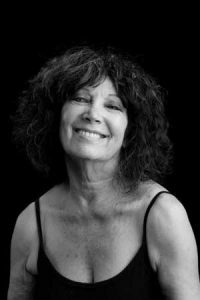 In celebration of her life artistry, Continuum Movement Arts dedicates our site to Emilie Conrad. Her passion for discovery was central to her movement investigations. Recognizing life as ongoing, evolving, fluid movement, she embraced an open-ended, inquiry method. Movement explorations were “experiments”. Breathing variations and sound vocalization took her inquiry more deeply, into the very tissues of her own body. With these simple methods, elaborations of processes intrinsic in nature, Emilie forged a new path to a direct experience of life. Emilie taught workshops worldwide, as well as weekly classes in Santa Monica, where she lived. She brought much of the scope of her work together in a DVD, Continuum: A Conversation with Emilie Conrad, released in 2004, and in her autobiography, Life on Land: The Story of Continuum, published in 2007. She continued to teach until her passing in 2014. Irrepressibly creative, Emilie created dance theater projects throughout her life. She loved the concept of Continuum Movement Arts and requested that her dances Nijinsky and Kafka in Love be archived on the website. Her words on the creative process form the narrative of The Spirit Soars, a short video interview that may be viewed, along with the archival footage of her dance theater works, at ContinuumMovementArts.org. It is difficult, if not impossible, to capture Emilie’s essence or her legacy. “Visionary”, “genius”, “ahead of her time” … these terms cannot convey the profound impact Emilie had on those who chose to work with her. As she became known for her radical vision of human possibilities and for her groundbreaking work with persons with spinal cord injuries, Emilie was recognized as a leader in the field of somatic movement – but this was a term she resisted. She eschewed anything that tended toward fixity and routinization, and especially any terminology that fragmented experience. Her desire, always, was to be in touch with the undivided nature of the universe.